Shivabalayogi Meditation Mission is worldwide with meditation programs and teachings offered by disciples, devotees and friends in private homes, center, ashrams and other public facilities, at no charge. Oaxaca - Teoma, aplacetobe@live.com, Meditation-Mon 5 to 6 pm and Wed 6 to 7 pm. En espaÃ±ol: Lunes 5 a 6 pm. MiÃ©rcoles 6 a 7 pm. MX cell #(951) 232.1099, MX mobile # 951.125.0009, U.S. #210-807-4346 (this rings through skype) Skype name: thom.cronkhite. Sierra Vista - Jay & Gabriele, 520-515-9654, innerguide@theriver.com. Los Angeles - Deepa, 310-396-2706, deepalani@cc.rr.com. Hartford - Paula, 860-657-9545, info@sacredriversyoga.com, Information only. Denver, Colin- ctmmcabe@gmail.com, Information only. Atlanta - Janardana, lightdwellers@yahoo.com, Information only. Columbus - Daniel, Daniel@shiva.org, www.shiva.org. Louisville - Sanjay, thesksmail@yahoo.com, Information only. Baltimore - Ryan, 410-440-9206, Park Heights Community Health Alliance, weekly meditation, Mondays 6pm, 4151 Park Heights, 21214. shivabala9@netzero.net, Jea, jchapsk@gmail.com. Braintree - Open Doors, Richard, 781-843-8224, richardlanza1@gmail.com. Fairbault - Ken & Vivien, 507-334-3904,vivienp@yahoo.com. Hammond, NY, Thousand Islands, St. Lawrence River Shantilanka, Meditation Center- Christine, cvisscher1028@gmail.com. 540-556-6931. Open daily for meditation at 7:00 a.m.Group meditations every Sunday afternoon at 4:00 p.m. for anyone interested (Canadians included)..
Charlotte - Foster, fosterdela@gmail.com, Information only. Greensboro - Raj, rajsram@gmail.com, Information only. Portland - Steve, 503-283-6756, portland@srby.org, www.shivarudrabalayogi.com. Bethlehem - Rajesh & Binal, rajreikiusa@gmail.com. Stroudsburg- James Fahs, 570-359-7787, james.fahs@gmail.com. 1170 Neola Church Road,18360. Aledo, (Fort Worth/Dallas) - Kerry, gitariddims@yahoo.com. Yogaville - Germaine, 434-969-2900, jggermaine@gmail.com. Children, Teens & Family, Free Meditation Instruction offered daily in the meditation room at Divine Dhyana Kutir, residence, 87 Unity Place or may be scheduled at Satchidananda Ashram, Gugu Bhavan- Meditation Hall..
Seattle - Natasha, theladykrishna@gmail.com, weekly, Thursdays, 9pm, 8 Limbs Yoga Center, 500 Pike St., 206-325-8221. Shri Shivabalayogi Maharaj Meditation Blessings Peace, Bliss and Self-Realization Guaranteed through Meditation. Receive a free meditation instruction packet which includes holy ash and a photo of Shivabalayogi. Available in French, German, and Spanish. Shivabalayogi Holy Ash (Vibhuthi) is available at no charge for meditation and blessed for personal needs such as: health, safety, relationships, education, employment and finances. Meditation Blessings packets are available from Sanjay Singh, 8300 Halston Ct. #7, Louisville, KY 40222, USA, thesksmail@yahoo.com, 352-219-8438 or Germaine, 108 Yogaville Way, Buckingham, VA 23921 USA, jggermaine@gmail.com, 434-969-2900. Holy Ash is available from Shivabalananda (Swamiji) via R. B. Singh, ranjitbsingh@yahoo.com. Shivabalayogi classic pictures, photos, DVDs, CDs, videos, cassette tapes, journals, large posters, photo album, "Swamiji's Treasures, God Realization & Experiences of Shivabalayogi" reference book, journals, program announcements, newspaper articles and other memorabilia. Please contact Ryan in Baltimore, for more details or to set up a visit to the Shivabalayogi Archive, at shivabala9@zero.net or 410-440-9266. "Tapas* Shakti" is the biography of Shri Shivabalayogi Maharaj including Sri Swamiji's twelve years of Tapas combined with personal experiences of his blessings, thorough answers to a wide variety of questions and the practice of dhyana meditation. Published in 1992. *Tapas is meditating in samadhi* for at least twelve hours without interruption every day until God is realized. *Samadhi, God-consciousness, is an advanced state of spiritual consciousness in which one is no longer aware of the body. Available from Tom Palotas at info@shiva.org. The Living Yogiis the book explaining the events of the Mahasamadhi* of Shivabalayogi, Sri Swamiji's mission and his continued presence in the world today. Published in 1995. *Yogi is one who has completed tapas and is God-realized. *Mahasamadhi is the final samadhi in which the yogi's soul permanently leaves the physical body. Available from Sanjay Singh at thesksmail@yahoo.com. 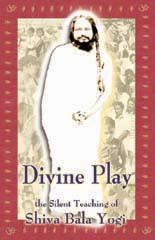 "Divine Play, the Silent Teaching of Shiva Bala Yogi" is a detailed description of enlightenment and the process of Self-realization, and it contains experiences and miracles from throughout India, England and the United States. 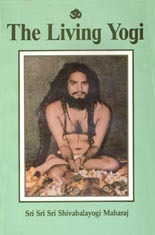 Divine Play is drawn from several sources: Telugu and English booklets published during the early years after Swamiji emerged God-realized on August 7, 1961; Shri Shri Shri Shivabalayogi Maharaj, Life and Spiritual Ministration written by General Hanut Singh and published in 1981; Swamijiâ€™s own collection of papers; conversations with Shri Swamiji, many tape-recorded between 1988 and 1994; and over a hundred devoteesâ€™ personal experiences collected throughout India, the United States, and England. Published 2004. 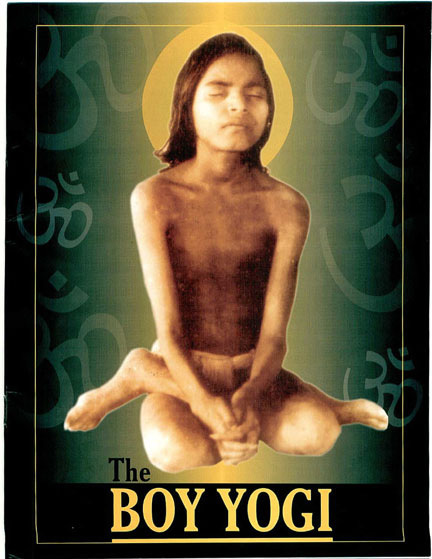 "The Boy Yogi" is the true story of the boy, Sathyaraju, who sat in meditation for twelve years, twenty-three hours daily for eight years and twelve hours daily for four years to become the great yogi, Shri Shivabalayogi Maharaj. Adapted from Chapters 1-4 of Shri Shri Shri Shivabalayogi Maharaj, Life & Spiritual Ministration, by Brigadier Hanut Singh, MVC, published in 1981. The 8 x 11 book is a young person's reader with meditation mottos, photos, and cartoon-like, pen and ink drawings. Adapted and written by Jane Gail Germaine Gray; available from Sanjay Singh at thesksmail@yahoo.com. YouTube: Boy Yogi, read by 14 yr old Shanti Das, Yogaville, VA with photos and drawings by artist Jane Filer, Pratibha. 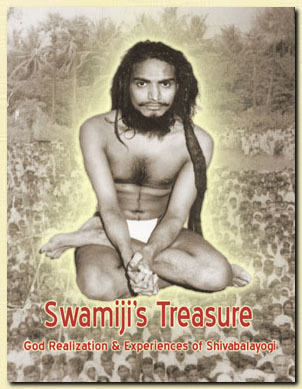 "Swamiji's Treasure, God Realization and Experiences of Shivabalayogi" a comprehensive resource on one of the worldâ€™s great yogis of the 20th Century. 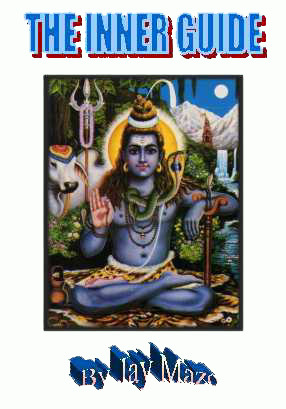 A detailed biography of Shivabalayogi, including recorded conversations and experiences of devotees, his twelve-year meditation (tapas), guru and devotee relationship, travels throughout India, Sri Lanka, US & UK, blessings through holy vibhuti, Meditation programs, gift of initiation into meditation, the significance of meditation, samadhi and tapas, the spiritual bliss of bhava samadhi, Gods, yogis and divine beings, spiritual leaders and religions, karma and accidents and world conditions. The format is 680 large pages with over 360 photos. Published 2007. "The Inner Guide" is 365 pages of inspirational messages received in meditation and daily life with spiritual instructions, mystical experiences, prayers for inner development and descriptions of saints and divine beings. Book includes yogic techniques. Published 1973, 1998 & 2000. Swamiji's message: Aum, My best wishes for publishing this book. The author, Jay Mazo, came to my Bangalore Ashram in 1970 and was initiated into meditation. 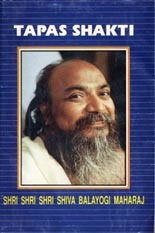 After following my instruction, he is revealing through this book his experiences received in meditation to the world. Those who read this book should also learn meditation and then spread the practice among people. By doing this, they will attain peace of mind. This is my advice. With Blessings, Shiva BalaYogi, Bangalore, India 1973. Available from Jay & Gabriele Mazo at innerguide@theriver.com. Shivabalayogi Chanting - Aum Namah Shivaya, CD- 64 minutes. 1987 Bangalore Ashram Bhajans, 1987, 3 CDs - 80 minutes. All labeled with Shivabalayogi' picture. Send $50, tellers or cashier check accepted, no personal checks please. Return by priority mail. For more information email: innerguide@theriver.com. Shivabalayogi's Philosophy is found in the "Yoga Vasistha." Ram has just returned from an extensive pilgrimage to holy places and has become disillusioned with life and everything that the world has to offer. His father is disturbed by this and asks sage Vasistha to instruct Ram. The soul of Ram instructing through Vasistha is the "Yoga Vasistha," considered to be the finest exposition of Advaita Vedanta, the nondualistic philosophy of the ancient Veda Scriptures. "The Concise Yoga Vasistha," with an excellent introduction and "Vasistha's Yoga" both very fine translations by Swami Venkatesananda, are available on line or through you local bookstore.